Comment: Previously-owned book in very good condition. No writing or highlighting. Binding is in very good shape. Eligible for free or Prime shipping. To draw is to understand what we see. 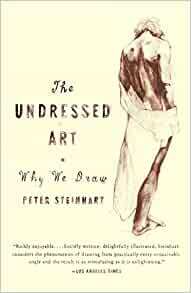 In The Undressed Art, writer-naturalist Peter Steinhart investigates the rituals, struggles, and joys of drawing. Reflecting on what is known about the brain’s role in the drawing process, Steinhart explores the visual learning curve: how children begin to draw, how most of them stop, and what brings adults back to this deeply human art form later in life. He considers why the face and figure are such commanding subjects and describes the delicate collaboration of the artist and model. Here is a powerful reminder that no revolution in art or technology can undermine our vital need to draw. Peter Steinhart is a naturalist and a writer. For twelve years he was an editor and columnist at Audubon, and his work has appeared in Harper’s, the New York Times, the Los Angeles Times, Mother Jones and Sierra. He has twice been a finalist for a National Magazine Award, and his essays have been widely anthologized. He has published four books, the most recent of which is The Company of Wolves. He lives and draws in Palo Alto, California. An enjoyable and insightful exploration of the author and others' motivations to draw and particularly, to drawing live figure models. Steinhart makes distinctions between the many people he knows with who do art or model for the experience itself, and of those few artists who make a living in the art world. He also provides insight into the reasons why some artists still choose to start and finish their art with a pencil and brush, while a majority of art schools increasingly focus on digital media and galleries seek astracts. With his access to a large number of local drawing groups, the author's community differs from my own, but the motivations and aspirations of the artists and models he introduces ring true. Like Steinhart I make my living as a natural scientist and I generally gravitate towards realism in my art, so I found it easy to identify with his thinking. I've also shared comparable experiences to some of the artists who he profiled, such as having enrolled and then dropped out of my only academic art class when the instructor told us that assumed everyone everyone already knew how to draw and that he was there only to help us to see. I was also fortunate to find a scientific illustrator in the biology department, who assumed (correctly) just the reverse. An illuminating book covering myriad aspects about the motivation and practice of drawing. This is not a 'how to' draw book. Rather, as the title suggests, it explores 'Why People' draw. This book is so well researched and such an amazing read for a beginner or advanced artist alike, even if you've never taken an art class in your life, the description and interest in drawing as an art makes you fall in love and understand it like you've never done before! 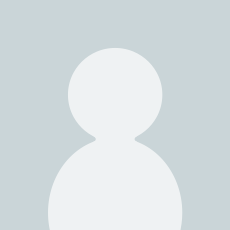 A wonderful insight into the realm of figure drawing; the whys and wherefores of what it's about and why we pursue it, written by a man with extensive exposure to the genre. I came upon the book as a result of having asked a well-regarded portrait artist why, at this point in her career, she had decided to pursue life drawing sessions again. Her response was to refer me to this book. Upon reading the work, I have a better appreciation of the place life studies hold in the continued development of the dedicated artist. An added benefit was the overview of the place the model holds in the whole process. I'm glad to finally own this book, as I've read it multiple times from the library. 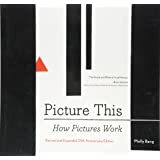 Every time I hire a model for my class at Maine College of Art, I want to share a quote or two from this book. The author covers all aspects of life drawing and the benefits of observation, the rituals of drawing groups, and all that happens in our brains when we do this act of making marks on paper. It's fascinating, informative, and a thoroughly brilliant read. 4.0 out of 5 starsThorough and interesting history of life drawing. I am not a professional artist, but I draw in life drawing studios whenever I can find time. The focus on form is a meditation. This is the first book I have ever seen about the history of life drawing and I found it very interesting and thorough. 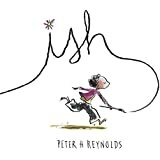 excellent description of the joys of drawing, whether solo or in a class; touches on the wonders of drawing that goes beyond what is put down on paper, how it feeds the soul as well as the eyes and the mind. 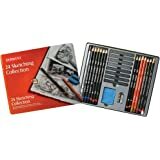 A must read for anyone who likes to draw or anyone who enjoys looking at drawings. As Van Gogh said, "drawing is everything"